The Kansas City Chiefs return to the friendly confines of Arrowhead Stadium this week after losing for the first time against the New England Patriots in Foxboro last weekend. The Chiefs, who welcome in the Cincinnati Bengals, still look the cream of the crop in the AFC with a 5-1 record, but the Patriots reminded everybody that they remain a force as long as Tom Brady is the quarterback of the team. Seemingly ageless at this point in his career, Brady completed 24-of-35 for 340 yards and one touchdown against Kansas City to get the better of the Chiefs' signal caller Patrick Mahomes. On the Kansas City side the second year pro tossed four touchdowns, but was picked off twice and that ultimately was the difference as the Patriots ran out 43-40 winners. Most prognosticators had the Jacksonville Jaguars taking the next step this season after giving New England a scare in the AFC Championship game last year, however on the evidence of first six weeks of the season it would not be a surprise to see the Chiefs and the Patriots battling it out for the right to go to the Super Bowl. This week the Bengals are at Arrowhead and looking for a bounce back following a home loss to the Pittsburgh Steelers last week. Cincinnati could really have stamped their authority on the AFC North Division early, but the defeat to the Steelers now sees the Baltimore Ravens tied with the Bengals atop the Division. The Bengals are 3.25 to win at the weekend with the Chiefs 1.36. 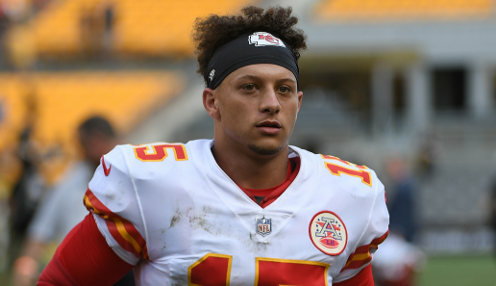 The Chiefs are 1.062 to win the AFC West with the Los Angeles Chargers 8.00.